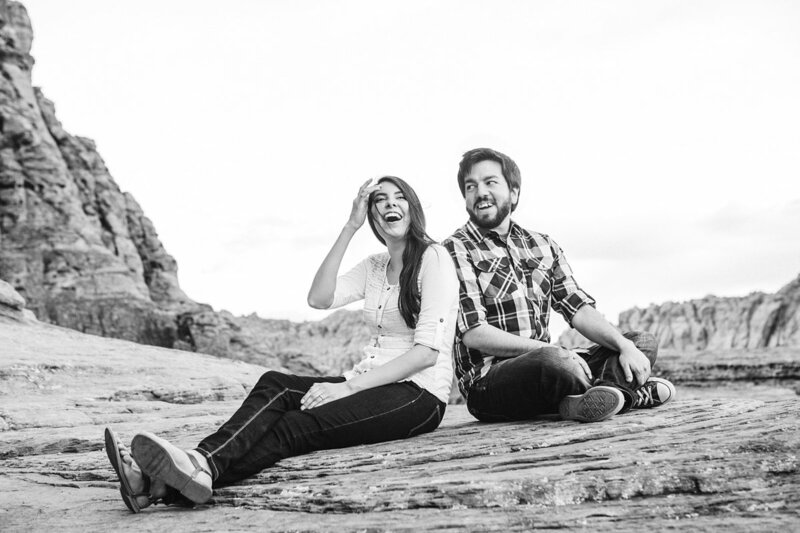 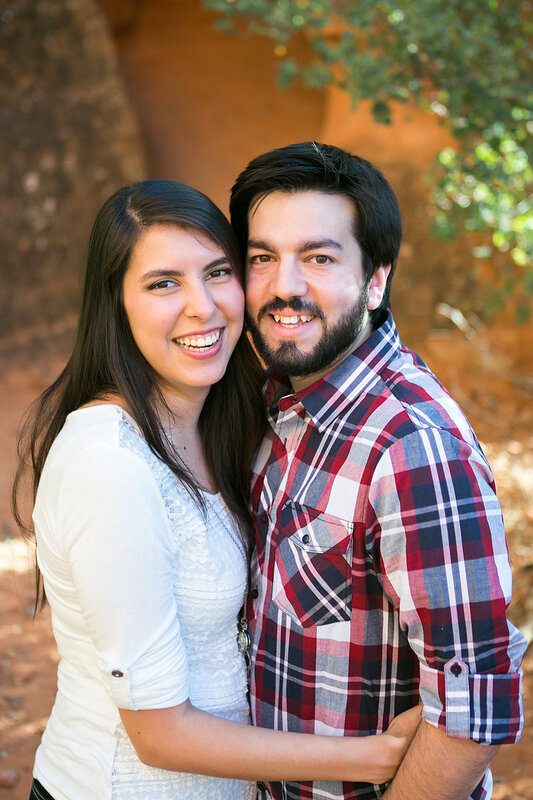 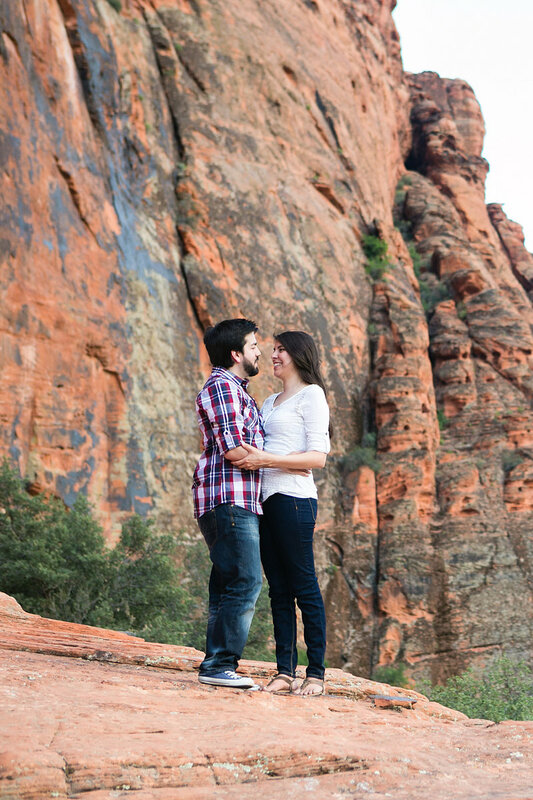 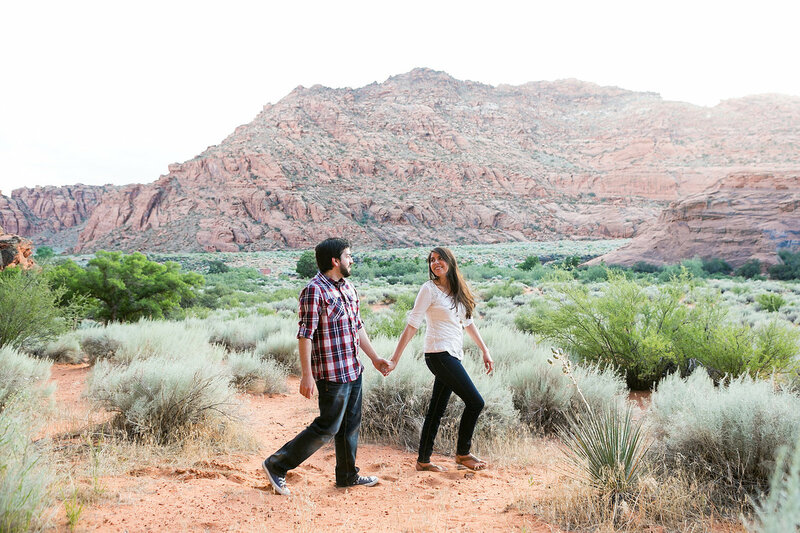 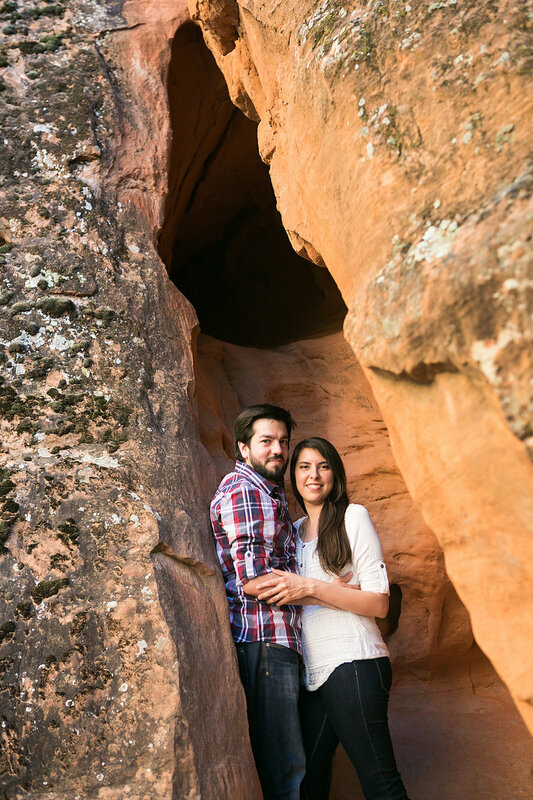 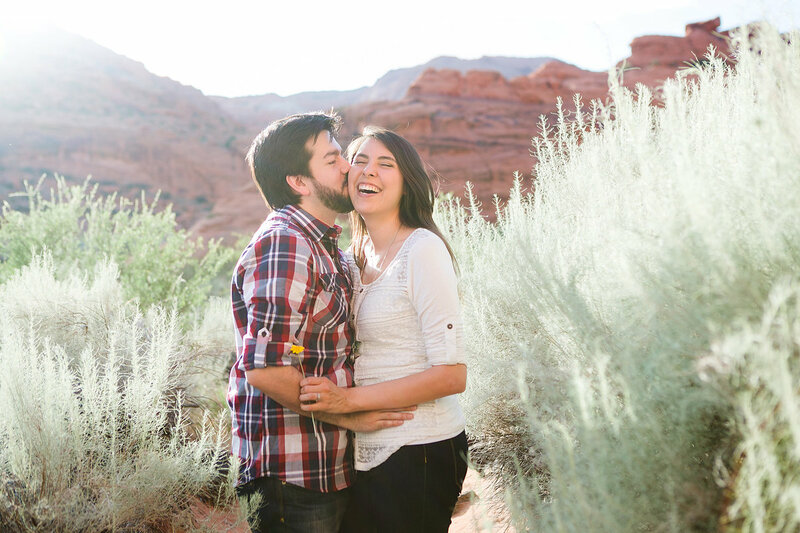 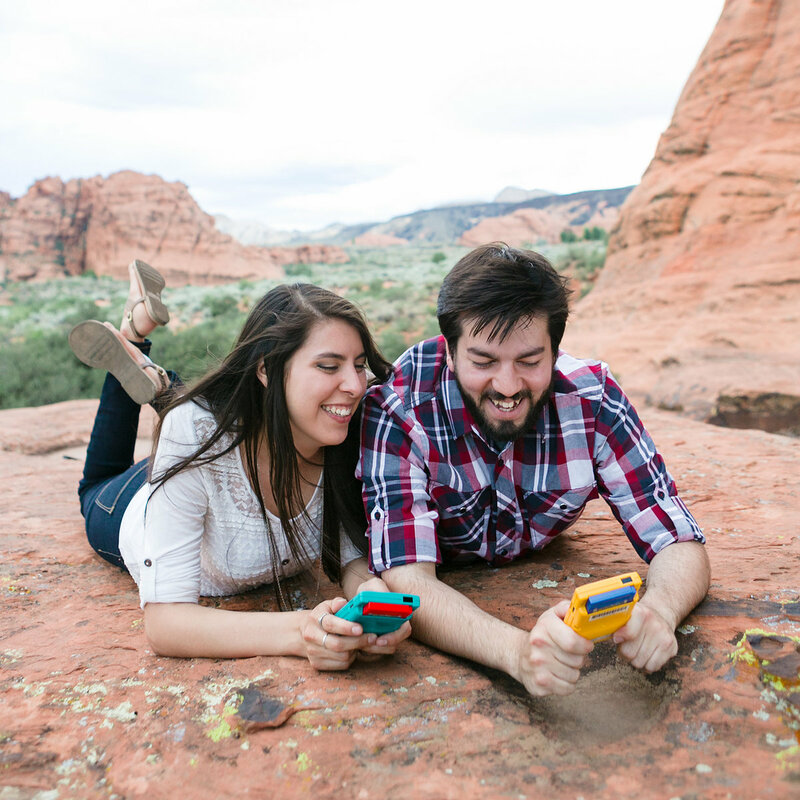 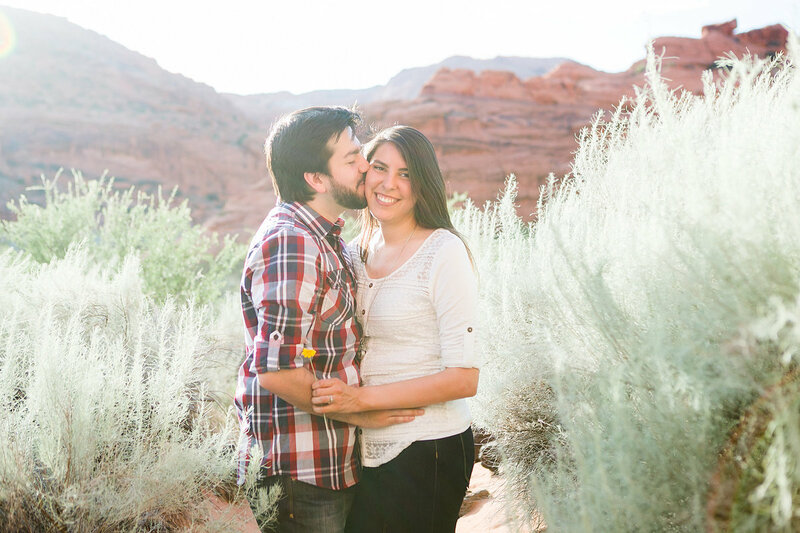 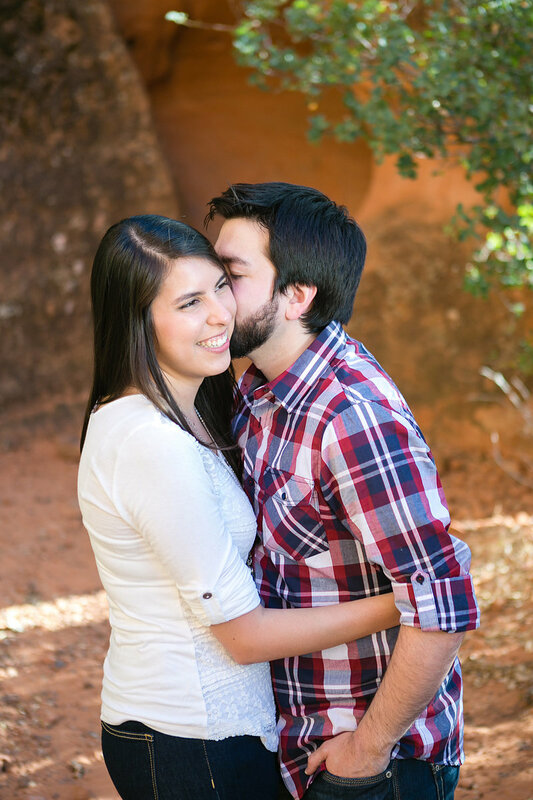 Desert sage and awesome personalities set the scene for our Snow Canyon engagement session with Asia and Tommy. 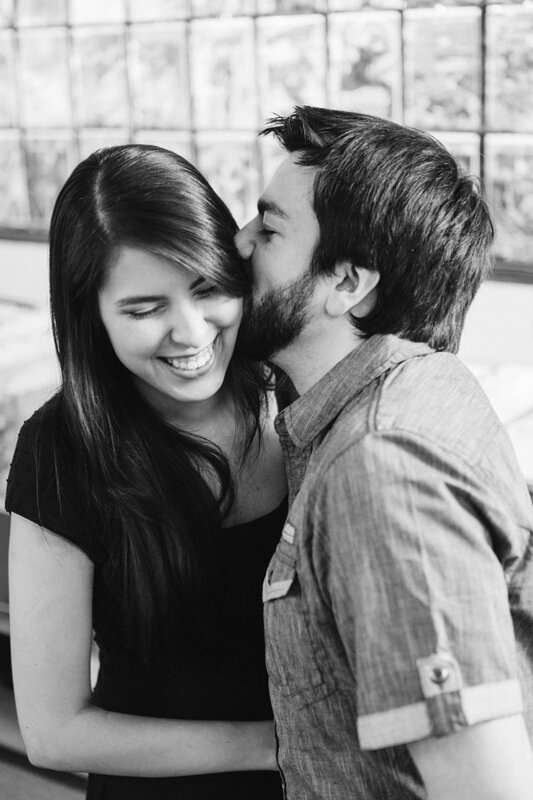 This couple is adorably in love. 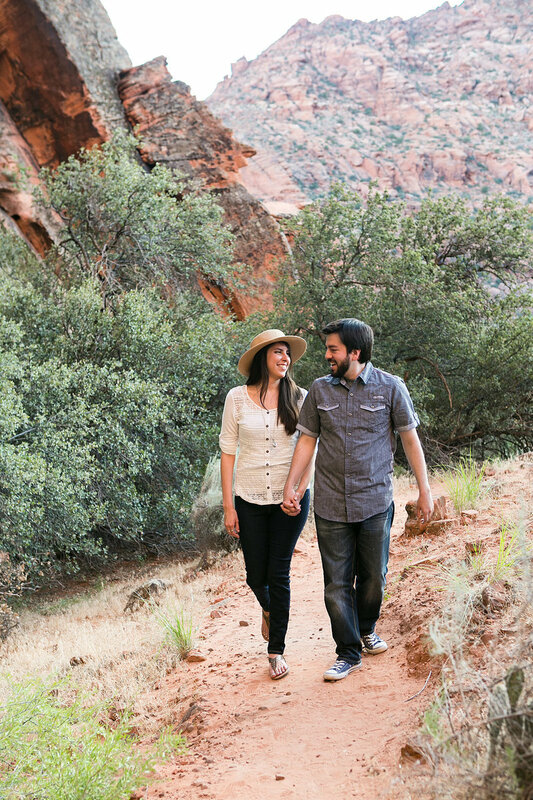 They were all smiles and up for the adventure of exploring Snow Canyon’s rust-colored landscape. 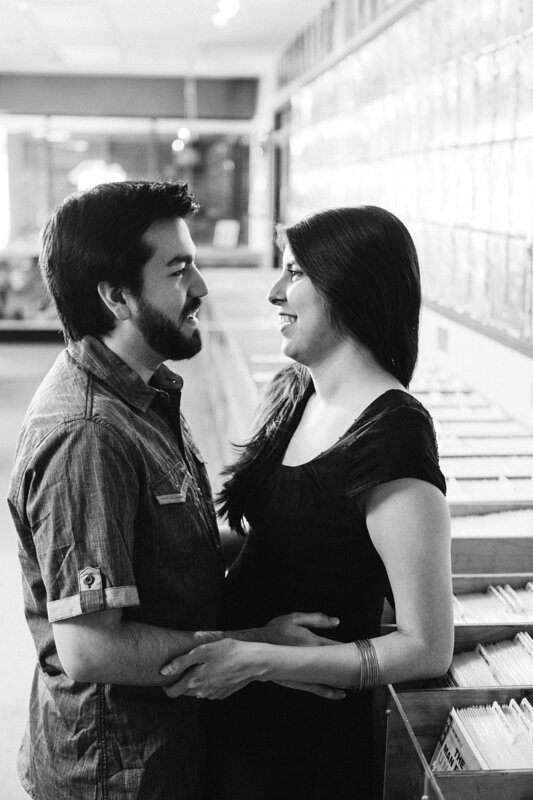 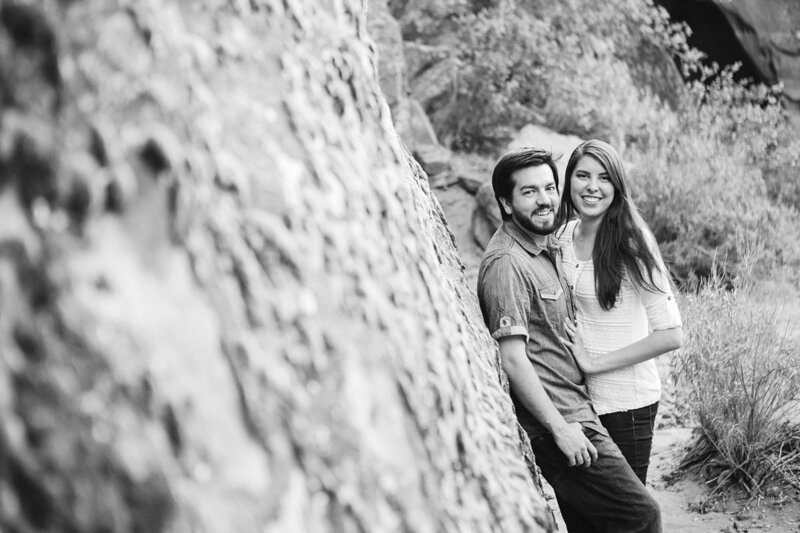 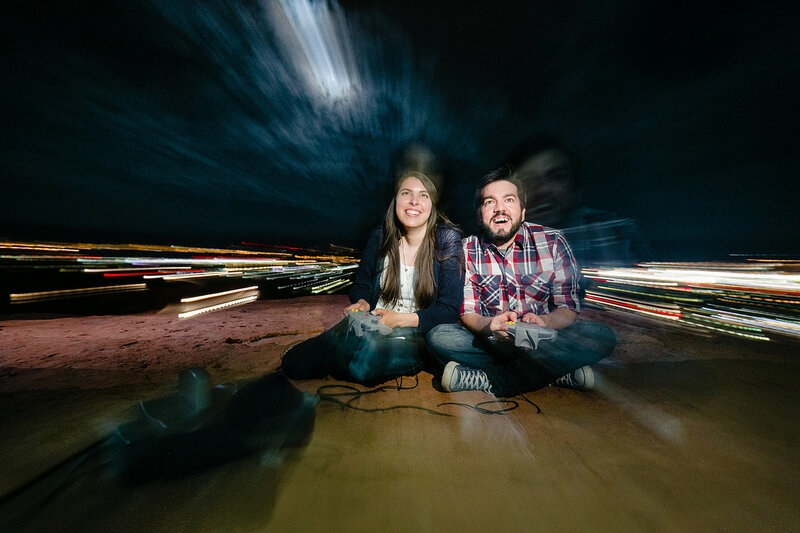 This couple's made-of-awesome flags were flying high for these portraits. 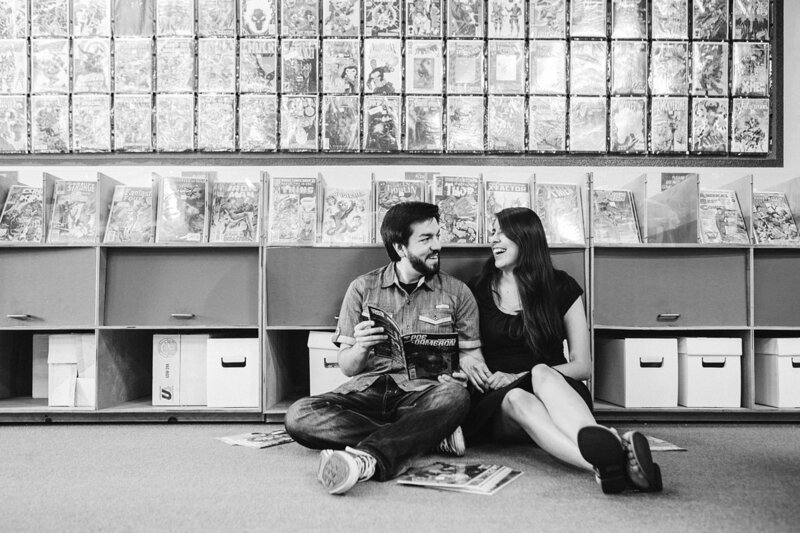 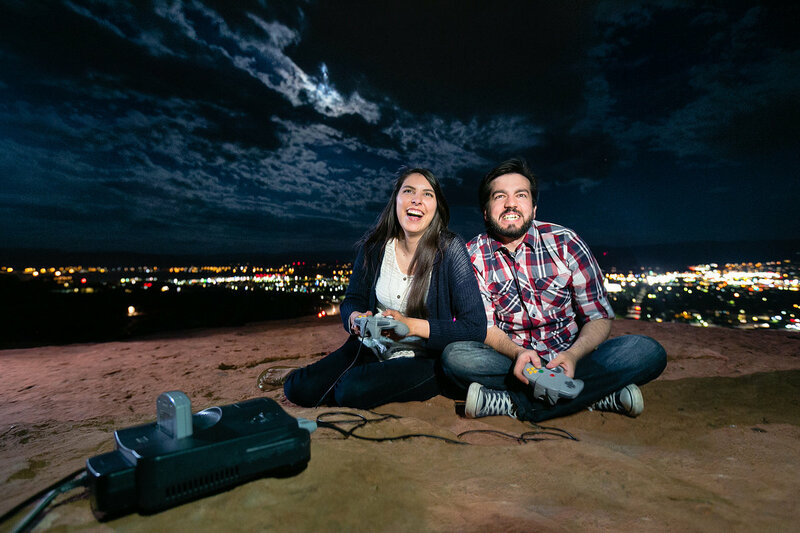 We love that these two were ready to share some of their favorite pastimes with us, like Nintendo and Pokemon and hanging out in the comic book shop. 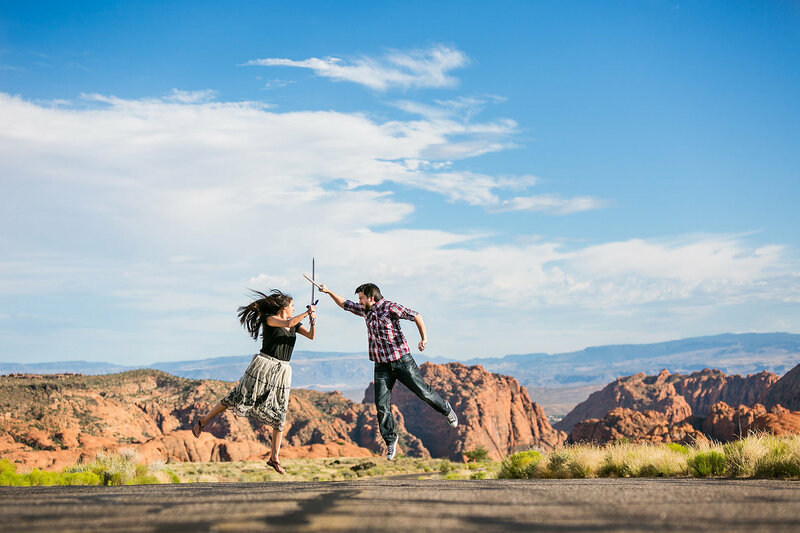 Of course, they had an epic light-saber battle in the middle of the road. 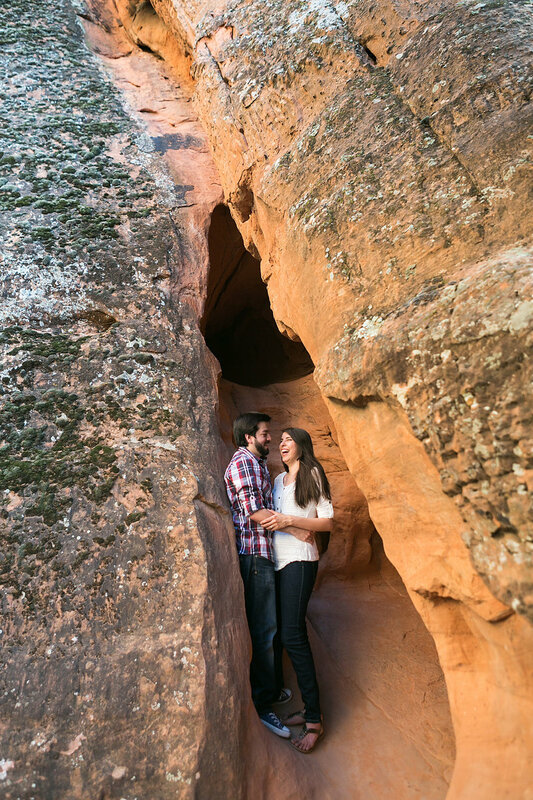 We're not going to lie, this session was pretty amazing. 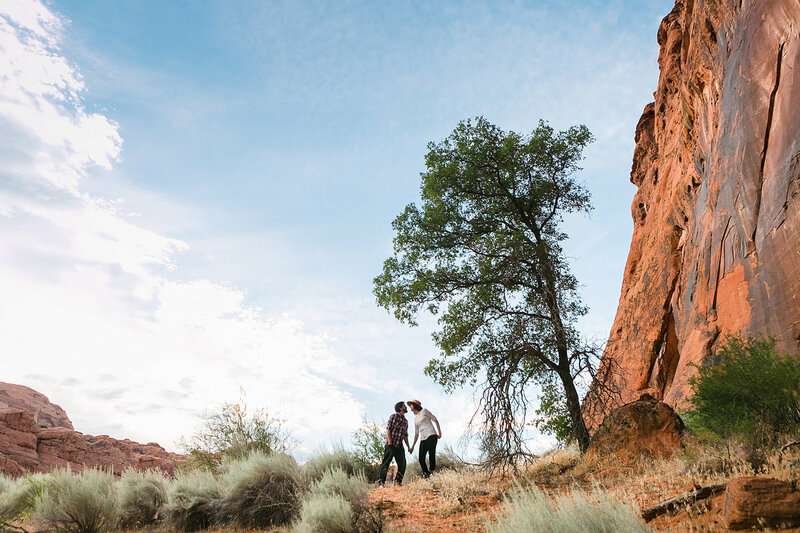 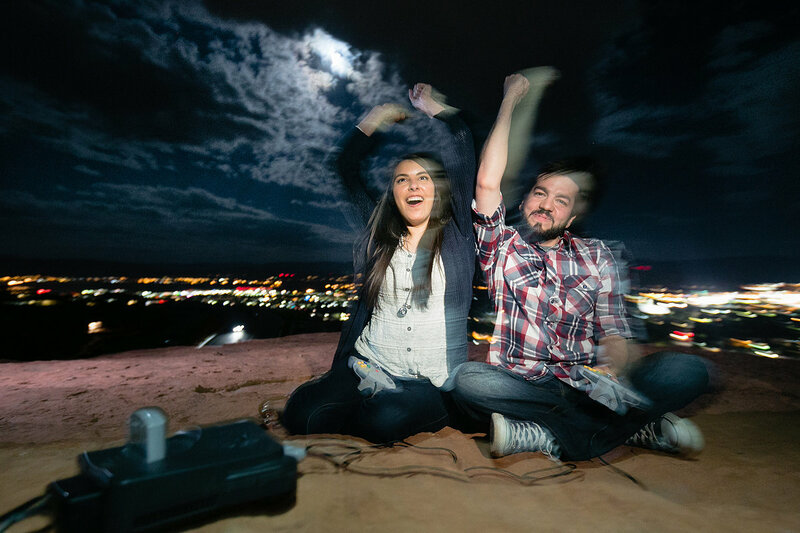 The scenery of Southern Utah is jaw-on-the-floor gorgeous, and this couple is so dang cute we just wanted to hug them. 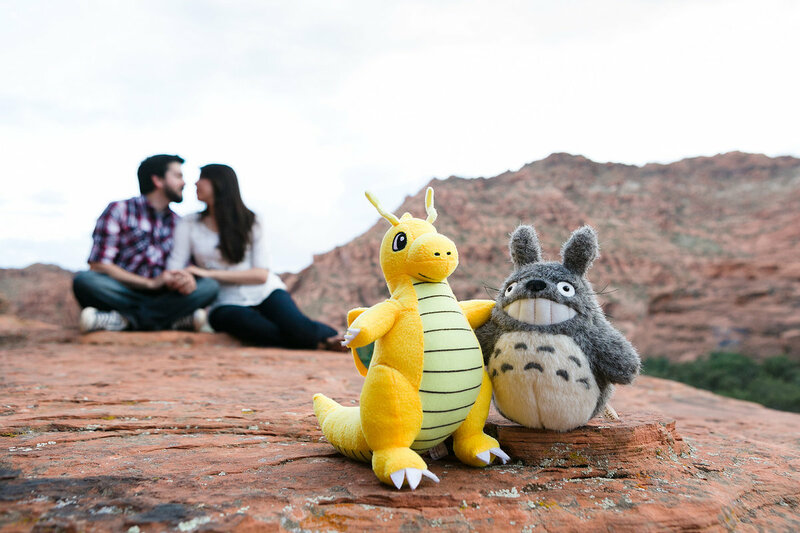 Which ... maybe we did.